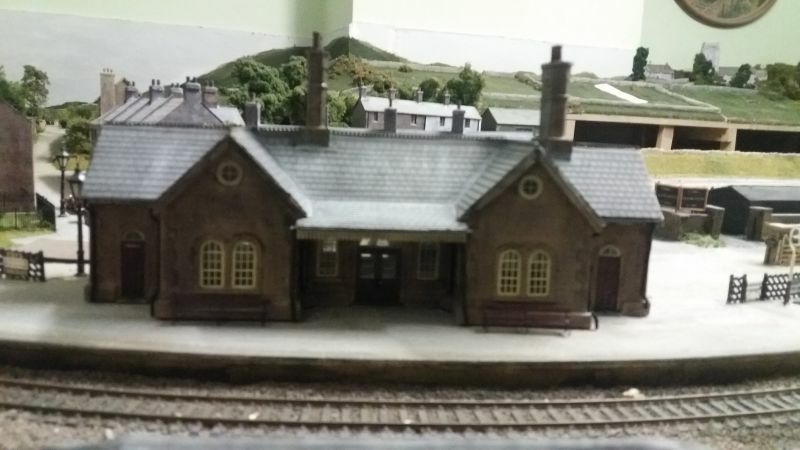 I thought I would start a post about my OO gauge layout that I have been building since 2012. Much progress has been made, but I am still a long way from getting it to the standard I would like. 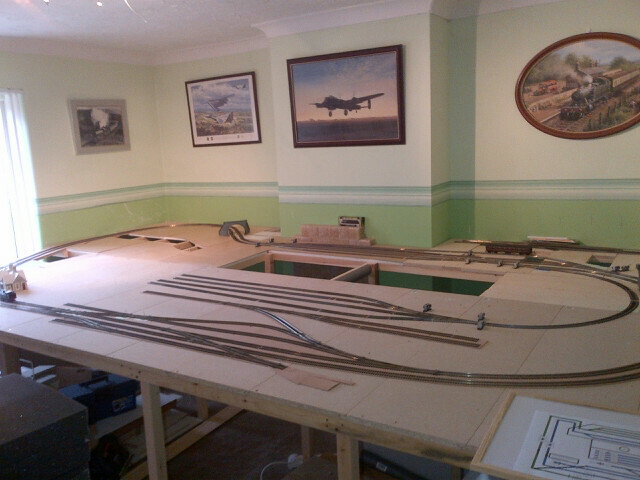 The layout is OO gauge, 4mm/ft, DC controlled, 8ft x 14ft narrowing to 12ft, built in the spare room (spare for now). It a permanent home layout and badly designed so I cannot move it without destroying it!! 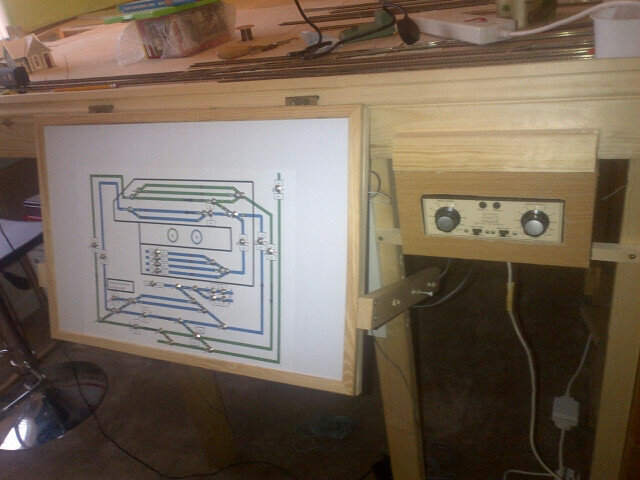 Baseboard framework is standard 2x2 and 2x1 with a variety of tops that I had sitting dormant! (15mm chipboard loft boards, 12mm ply, 12mm MDF, 3mm hardboard (backing from wardrobe), kitchen unit sides and shelves, 2 x wardrobe doors). Note to self: just by sheets of ply - far easier!!!! Track is Peco Code 75 with Peco pointwork, Peco and SEEP selenoid point motors with accessory switches for polarity and directional LED's. Controller is a Gaugemaster dual controller with a CDU to give the motors a kick! 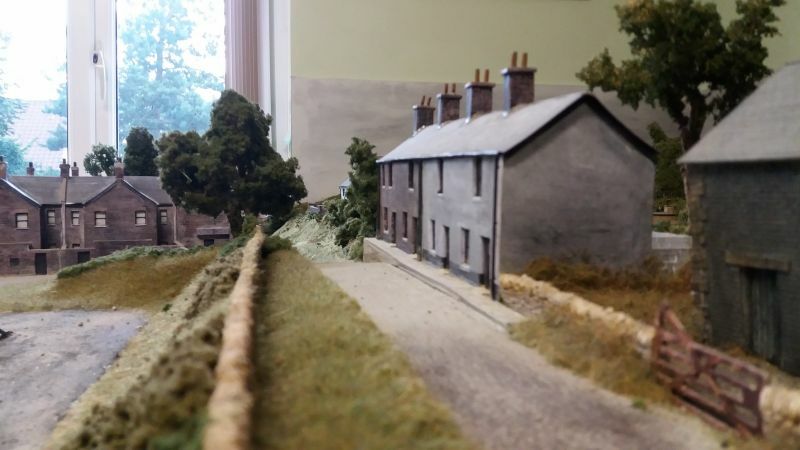 Station area, loco service area, water, farm/farmyard, coal merchants, goods yard, hillside, cuttings/Tunnel, small village, lighting (interior and exterior), church and hidden fiddleyard. 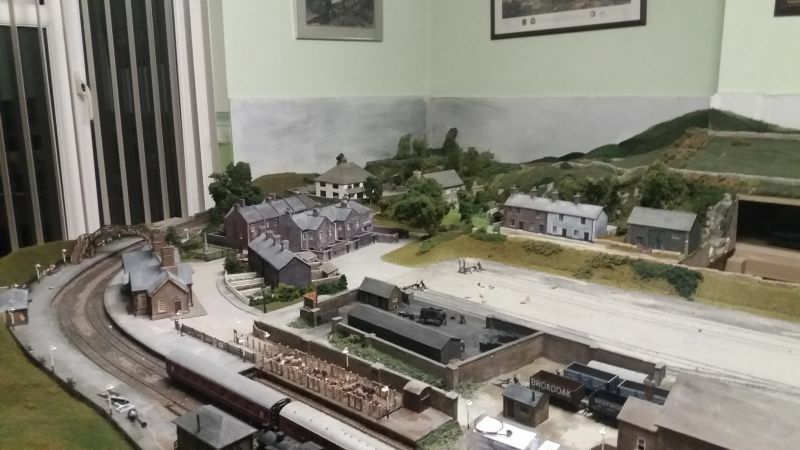 There have been progress and a few changes since the above picture was taken, but this was to give an oerview of the layout. I will post more when I get chance. Happy to answer any questions! 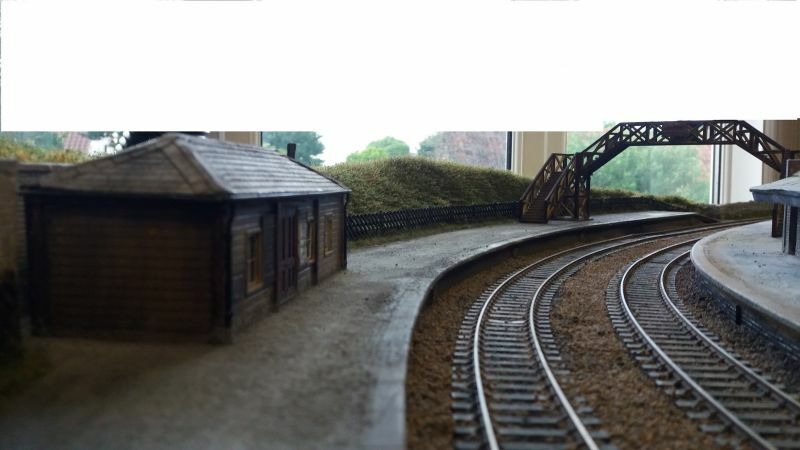 Here are some early shots of the layout during construction! In the end though, the results are covered over with lots of scenic stuff so nobody knows anyway. Nice set-up (even allowing for the gymnastics in getting to the back of the layout). Looks like you have quite a few blocks. DC vs DCC? Unless you really want sound (and the latest decoders will run under DC with sound), with multiple engines on the track (unlikely in the real world, where there is often 15-20 minutes between trains, commuter lines probably 10 minutes), DC is actually a better choice with a decent controller and efficient motors. I see you have a twin controller, no switching between loco addresses to control 2 engines. Ideal for 2 engines on steam, one on the main, one in the yard. It works, Ian. That's the main thing. That looks very good Ian. I'm DC with a twin controller.... and probably will be for the duration. Any chance of a ground level photo up the street between the terrace houses on the left? Thank you all for the kind comments, and to be honest, I think I will be keeping to DC for the foreseeable future. 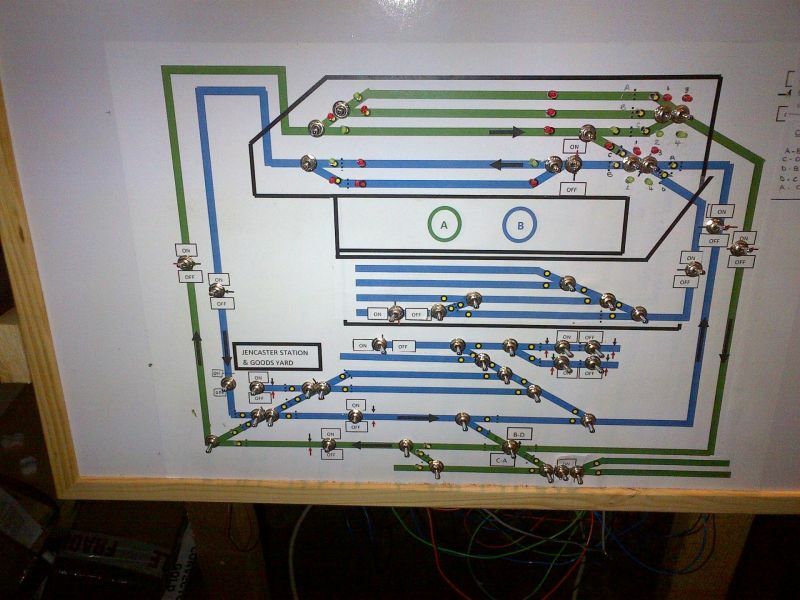 I quite enjoyed working out all of the electrics, but Brian Lamberts guide came in very handy!!! I might witch over to server type point motors one day, but we will see how funding goes! Above: Street scene along station road. The station at the bottom of the picture is being replaced with a scratchbuilt version. 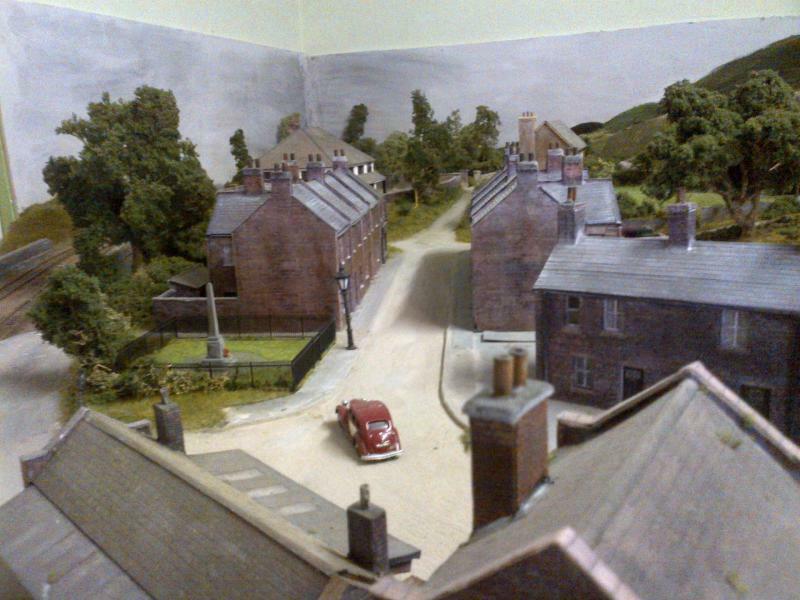 The terraced houses/shops/pub are Scalescenes, monument is a Peco model, working lights are from Ebay. The road is made from Polyfilla exterior cement repair. 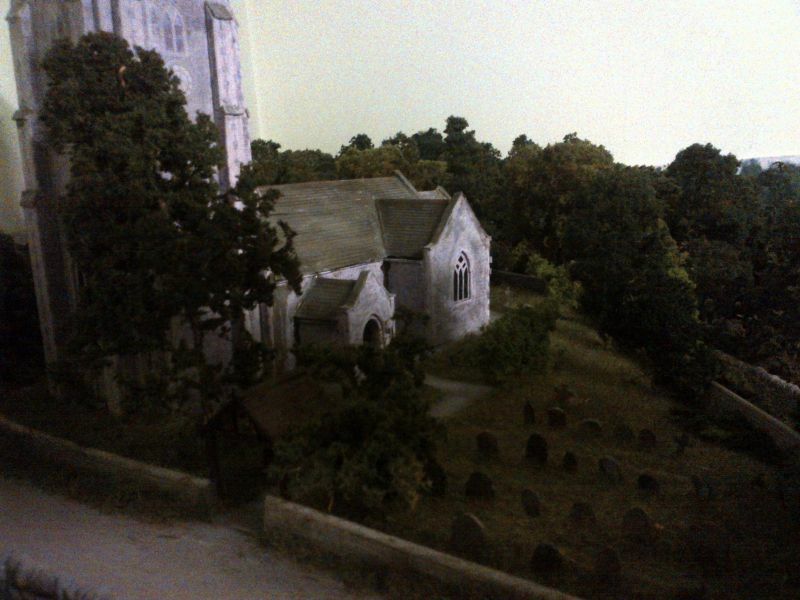 Trees are made from hedge twigs with inserted sprigs of sea-foam covered with Woodland Scenics coarse turf. Hotel and house at the far end of the picture are both scratchbuilt. 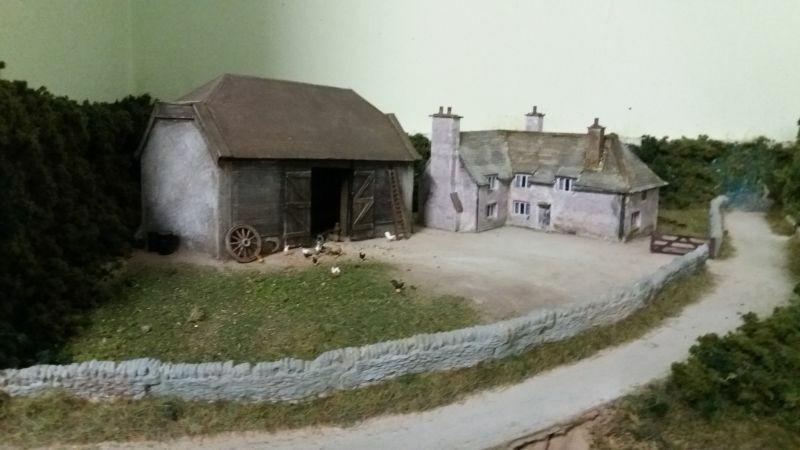 Row of cottages from Scalescenes and scratchbuilt barn using Redutex textured stonework. Grass applied using homemade static grass applicator and stone walls are from Ebay. 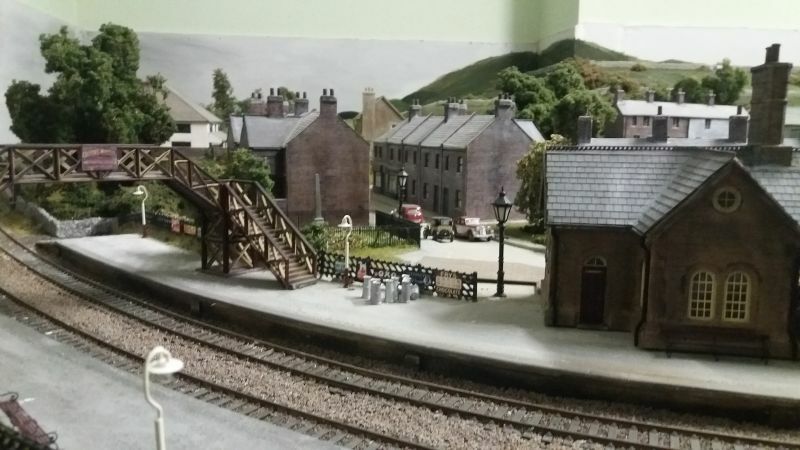 Modified Dapol footbridge (lowered and shortened). More to follow! 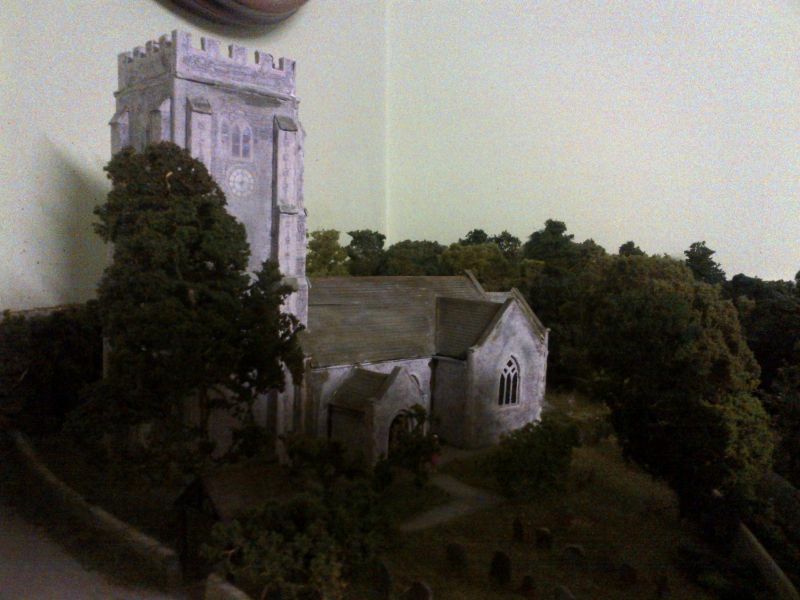 I have interior lighting in the farmhouse and church and will get a pic once I have completed the wiring up. 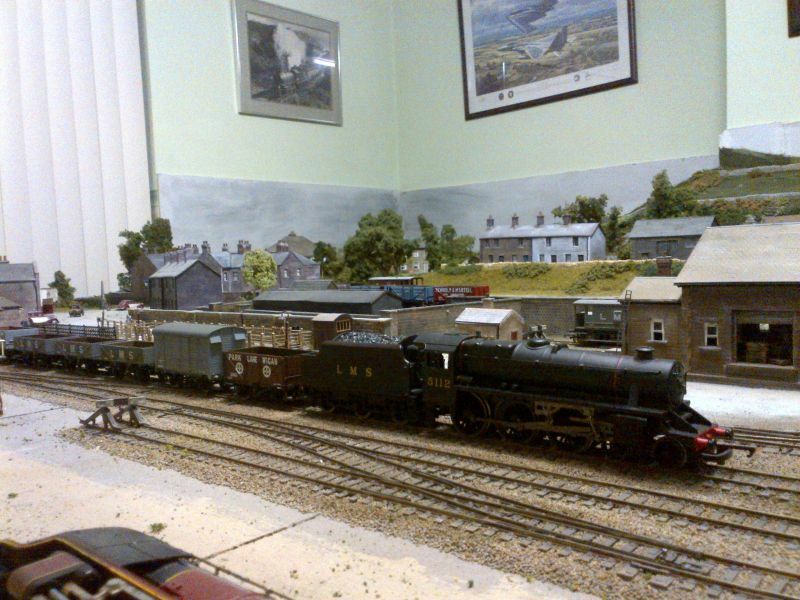 and one to prove I do have LMS trains!!! 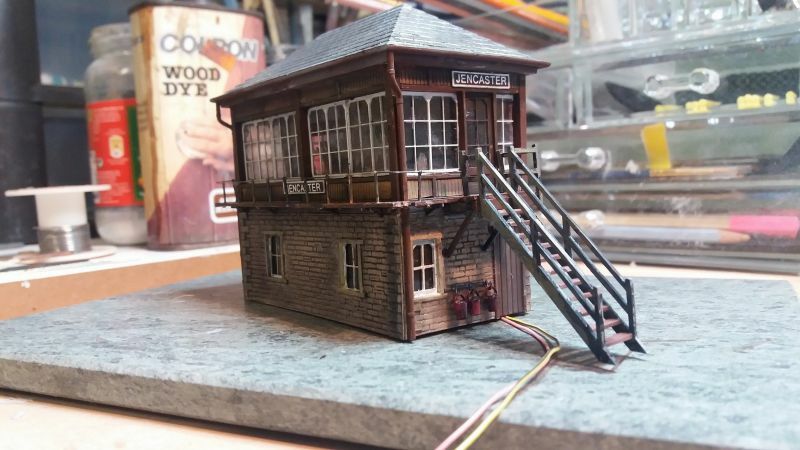 Signal box is a modified Ratio kit. I replaced the wood lowers with Slaters Stone plasticard, moved the steps to the other side and replaced the windows with Churchward etched brass ones. Welcome from the other side of Norfolk on the north east coast. You've progressed well in just four years, I'm off to buy some base board materials after over ten years of shed building and preparation!! Your modelling looks very good, I too would like to see some more pictures. 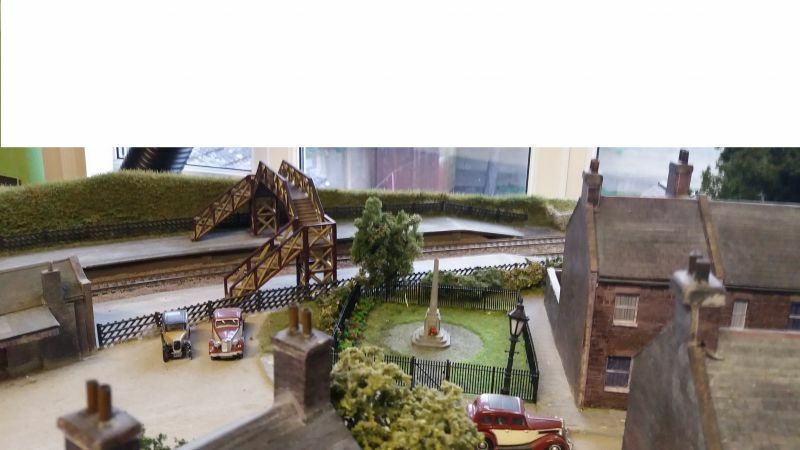 I assume the two aircraft pictures have something to do with why you live at Feltwell, lots of airfields in the vicinity..
My shed will have a somewhat incongruous for a steam era shed, 1/32 ADV Tornado F3 parked in one corner (not on the layout) and a fake stained glass image of a type 84 Radar in one window. The Q wrote: Welcome from the other side of Norfolk on the north east coast. You've progressed well in just four years, I'm off to buy some base board materials after over ten years of shed building and preparation!! Well hello there "The Q" - there are a few Norfolk peeps on here I see which is nice to know. I live very close to three major bases so I can't really avoid them!!! KC-135's, CV-22's, F-15's, several Heli's and C-130's fly over Feltwell quite regularly as well as the Tornado's & Eurofighters - soon it will be the F-35's. 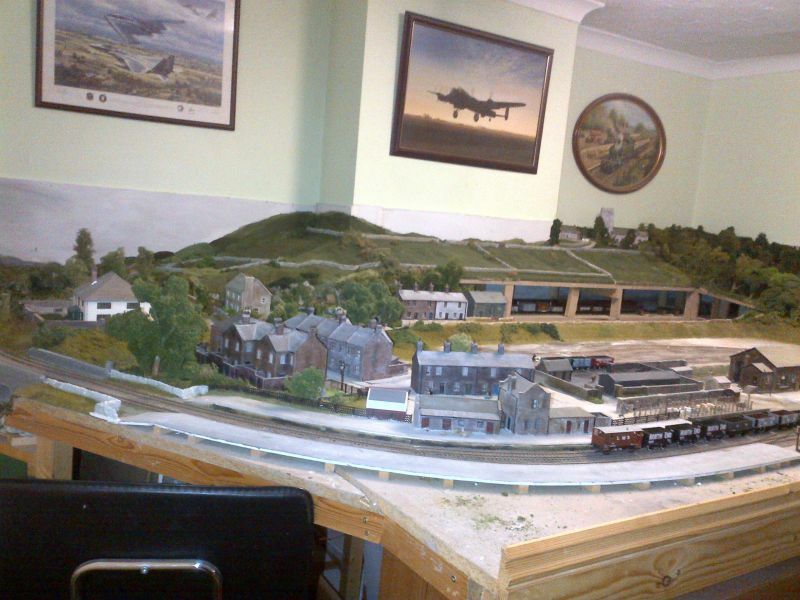 Your shed must be huge to manage a 1/32 scale Tornado, and a railway! - now I would definitely love to see pictures of the Tornado! More pictures will follow when I get chance! 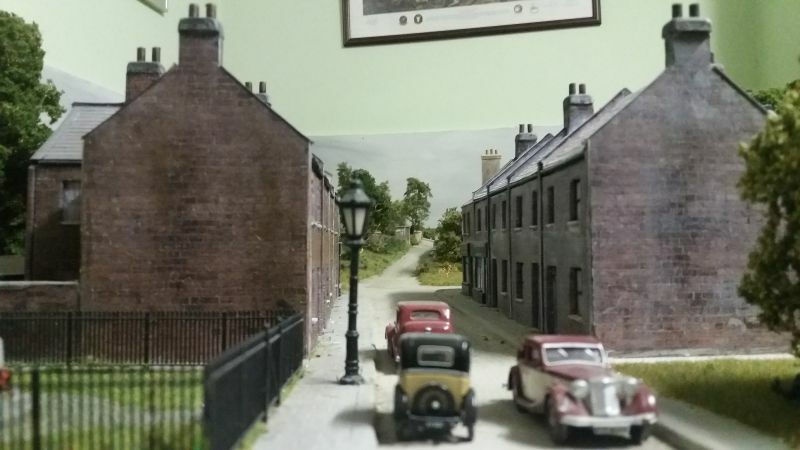 What a great layout with so many cameo scenes, I love the street scene it almost makes you feel that would be a wonderful place to live. 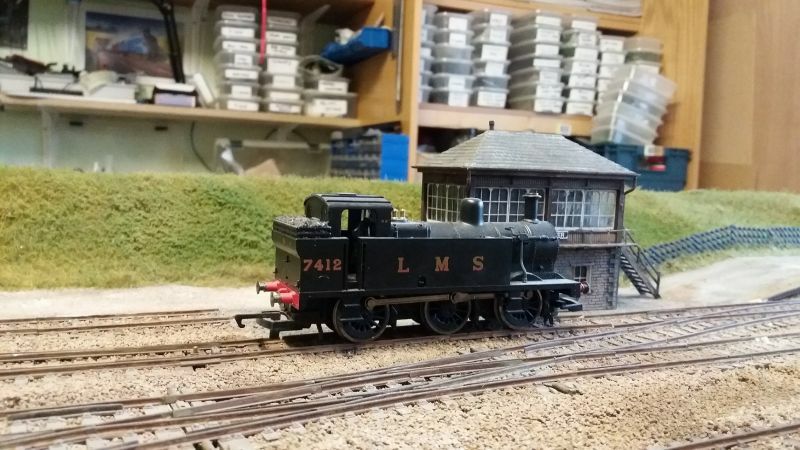 I admit to using standard DC as well with all my layouts so far being for exhibitions I have never had any problems with my very old dual Hammant and Morgan controller. IanLMS wrote: The Q wrote: Welcome from the other side of Norfolk on the north east coast. You've progressed well in just four years, I'm off to buy some base board materials after over ten years of shed building and preparation!! We get the fighter aircraft from your area out over us, they are supposed to practice their dog fighting over the sea, should it all go wrong, but we often see them directly above us with full afterburner, chasing their tails. The Tornado is still in its travelling box from when I brought it back from Saudi where I built it from a kit and heavily modified it to represent those I worked on. 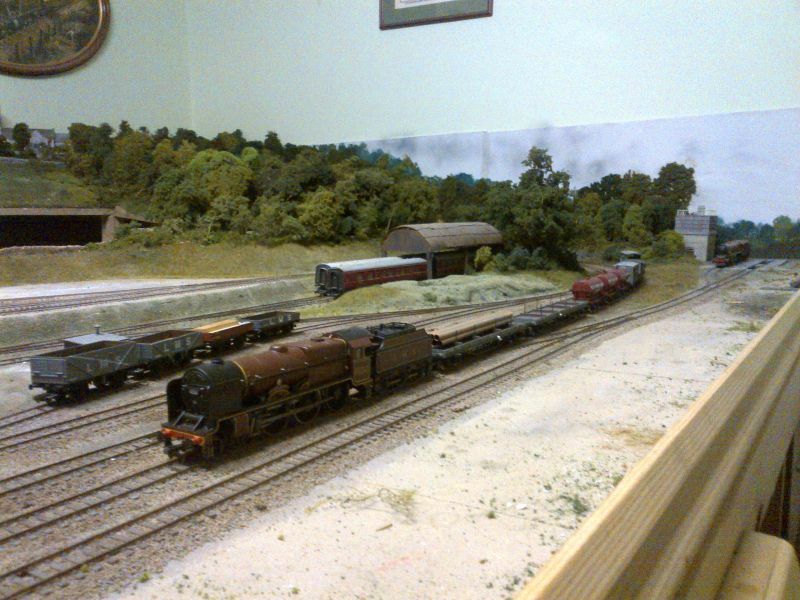 Yes the shed is huge, see the thread "Ludgershall Change for Tidworth", thats part of the reason it's taking so long to get round to building the actual layout, I often wish I had decided to build in N or even T gauge instead of EM. 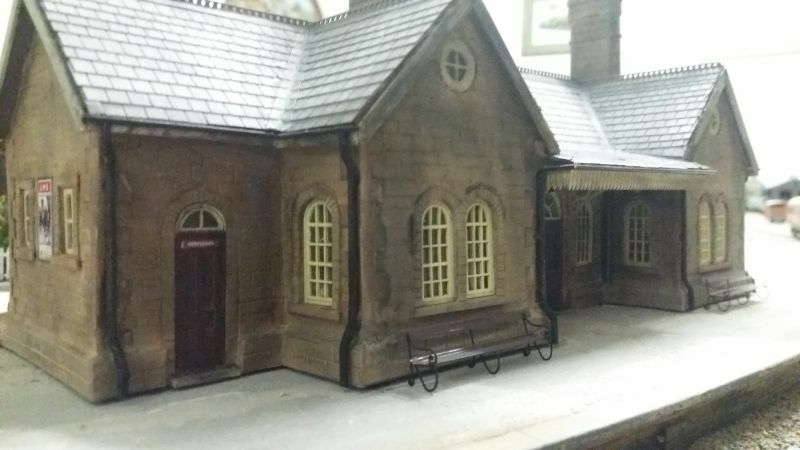 Preparations are being made for another shed (10X9 ft) just to store stuff to give me room to complete the railway shed internally then I can get on to building the layout itself. "We get the fighter aircraft from your area out over us, they are supposed to practice their dog fighting over the sea, should it all go wrong, but we often see them directly above us with full afterburner, chasing their tails. 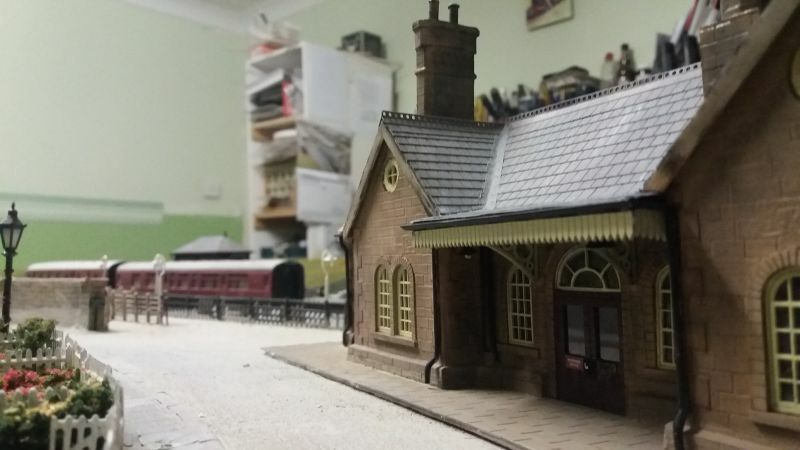 Preparations are being made for another shed (10X9 ft) just to store stuff to give me room to complete the railway shed internally then I can get on to building the layout itself." I'll look up the thread and see!! I did consider TT--3mm/ft at one point, but not much R-T-R on offer and I haven't even tried kit building a wagon yet, let alone a loco so decided to keep to OO. A change to EM might be worthwhile if I decide to build a new layout, but we will see. 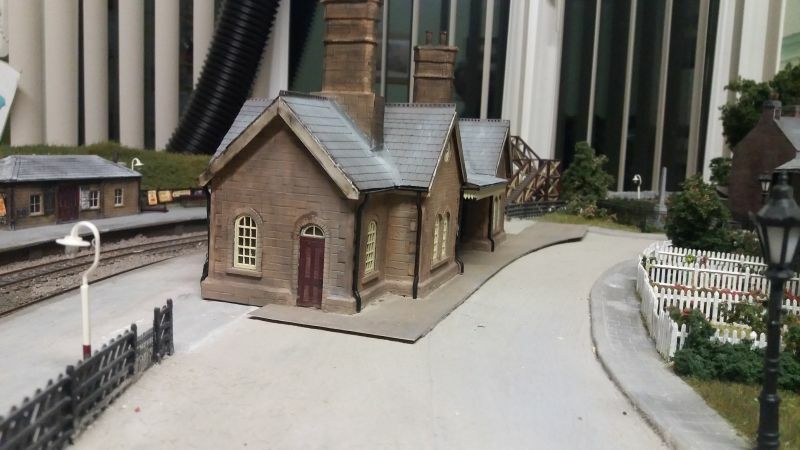 I also have in my mind a nice large exhibition N gauge layout based on the Craven Lime Works on the S&C (with Hoffmann Kiln), but to build it exactly as per the prototype, I would need a minimum of 18ft L x 5ft D. Maybe one day I will get around to building it!!! There's some lovely modelling there. 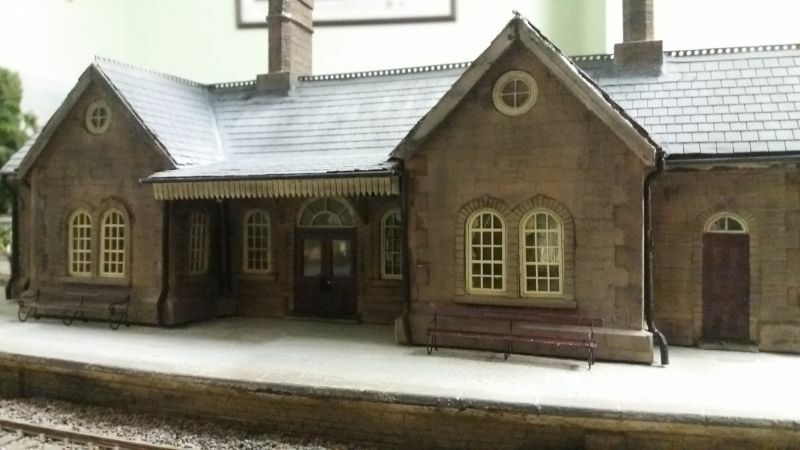 I love the station building & the layout of the buildings brings great atmosphere to the whole layout..
Who did the valance on the station canopy that you used ? amdaley wrote: Well done Ian. Thank you again. The valance was made by LCut Creative. Laser cutting experts. They also made the windows, doors and window/door surrounds. They make full buildings, or components and very friendly, fast service. IanLMS wrote: amdaley wrote: Well done Ian. Cheers for the information Ian.